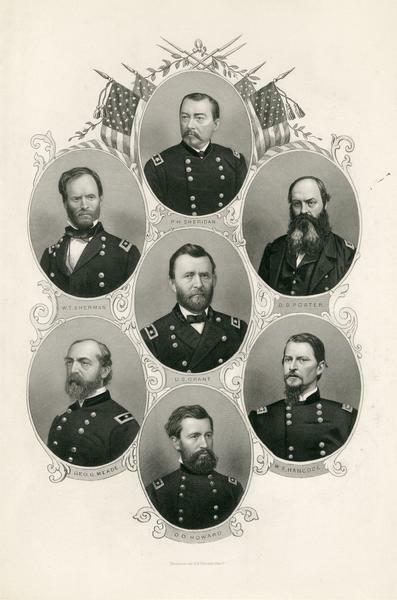 Engraving of portraits of Civil War Union Army generals, clockwise from the top, P.H. Sheridan, D.D. Porter, W.S. Hancock, O.O. Howard, George G. Meade, W.T. Sherman, and U.S. Grant in the center.